Chu or not, Julia Collins still wants to win this thing. To claim the automatic semifinal berth, she’ll need to contend with five-timer Joshua Brakhage and my fellow College Champion Jim Coury. A few choice wagers to discuss before this game. Julia is now a good friend of mine, and has appeared in a few videos, including an amusing interview over the summer. In fact, the only reason we met in the first place was because she took some offense at my analysis of Game 8… then recognized me on the street the following weekend. …except in her first game, when for some reason she selected $5 as her margin. Note that she was $200 away from losing this game, assuming a lockout wager by Frédérique (who, by the way, beat another TOCer, Sandie Baker). 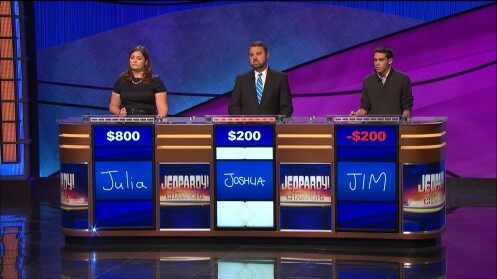 This is technically a wager-to-tie situation, as Zia has exactly 2/3 of Julia’s score. Brad more or less forces the big wager, however. The famous Clavin game, which forced me to create a new “grade” for wagers – gray on black. 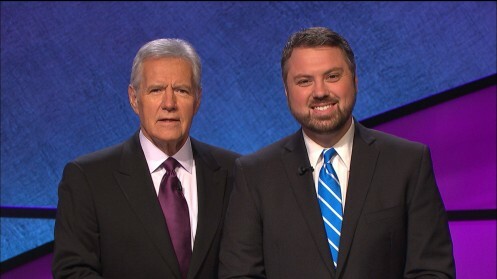 At taping, I actually hadn’t seen any of Joshua’s original games; I tuned in for Colby Burnett’s Tournament of Champions, but missed his appearances, which sandwiched that event. At 21 months, Joshua’s wait was the longest of any competitor in this year’s TOC. Joshua had a lock in his opening match, but things got pretty wild from there. You might notice, however, that a particular pattern emerges toward the end – could it be due to his employment as a producer at News On 6 (KOTV, Tulsa)? Proper all-in wager, since he had less than 2/3 of Zora’s score. He might have regretted that extra dollar! Now this is some savvy wagering! Perhaps I should start referring to “Colbyesque” wagers as “Brakhagesque” instead. It rolls off the tongue quite nicely, I’d say. This is why the trailer should always cover the “unsafe” wager if possible – Heather would have lost had they both gotten it right. Allison tried to pull a fast one on Joshua here, too, but he wasn’t having it. This is a weak wager-to-tie situation; Robert could just stand pat and beat Allison by a dollar if she goes for the straight lockout, so Joshua should have wagered between 8,000 and 8,800, or gone for everything. Joshua could have gone small hoping the others would both miss and wager large, but he correctly predicted Hans’s small bet. Jim was a sophomore at Georgetown University when he won the 2013 College Championship. He and Terry O’Shea both had to miss a week of school to fly out from the east coast for this tournament; I’m sure he has no complaints, though. 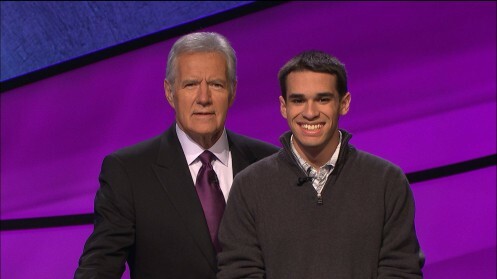 His semifinal game was particularly impressive; he amassed a total of 32,600 heading into Final – just barely enough for a lock – on the strength of two huge Daily Doubles in Double Jeopardy! (7,200 on clue 4 and 9,800 on clue 18). Jim clearly came in with a wild-card target in mind. Will he have one on Wednesday? Will he even need one on Wednesday? 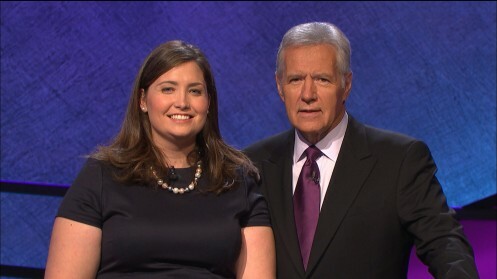 Both of his opponents would claim wild cards; Kristen would finish in third, and Daniel was one correct response away from making the Finals a rematch of this Quarterfinal game.